Metrics help us quantify and measure things and when applied to our investor management strategy we can see where we to focus our efforts. We ultimately want to raise a certain amount of money and we know what equity and salary trade-off’s we’re willing to exchange for getting it, but beyond that we need to set a few goals that make the funding process more tangible and attainable. What amount do you need? By when? How do you plan on getting there? Quantify how many potential investors you are currently in contact with. Where will you need to be by the end of this year? By the end of next? With a better understanding of “where you are” you can determine how many investors or investor groups we will need be in contact with to achieve the results we are looking for. Breaking funding rounds and investment effort into smaller increments helps to get the ball rolling in your favor early on. For a full funding round you will likely be raising money from more than one investor. Have a plan for how much you need to have committed by certain dates. Investors don’t need to know your commitment goals, instead these are used as internal measures of success. For example perhaps breaking your overall fundraising time-frame into 4 manageable increments: 45% in committed the first quarter, 30% in the second quarter, 15% in the 3rd quarter, 10% in the fourth and final quarter. Securing investment commitment early-on will lead to more investment buy-in from other investors, and we gives a measurable start to controlling the funding process. If you break your capital raise goals into these percentages you can start to see where you are ahead or falling behind your projections as time goes on. Then you can adjust based on historical output and your previous ability to meet these goals. Now that you know your funding and timing goals, you can start to determine your investor engagement strategy. You need good collateral like solid financials, a great pitch deck, a well rehearsed pitch, and confidence and ability to field questions about your business. With all that in place, you can determine what time you have available for your investor road-show. The road-show is your chance to meet and greet investors, show them your product and business, and get them interested in what you are developing. We want to work with them and use their money, but we need to make sure we have plenty of avenues so we don’t get into a desperate or dependent situation. The relationships you make today will still be yours tomorrow even if you don’t take advantage of them immediately. Take time during this round to interview investors and identify those that will be of benefit to your business. Money is great, but the value of having an experienced, engaged advocate with his eye on your success cannot be measured. If you have time to meet 5 investors a week, then make sure to spend your time filling the pipeline with at least that amount of investor meetings. Researching investment brokers and industry regulars will help you get a wide net of exposure to relevant investor groups. You can expand your radius as you get going, but use your early rounds to learn and meet people nearby. This will help you improve your volume strategy and hit those aggressive goal targets a little earlier. It also gives you the most bang for you buck overall, as travel costs are expensive and you may need time to coordinate multiple investors in one area of the country all in one time frame.  Result: Identify investor targets in your area, understand investor needs, develop a clear and compelling pitch deck, makes sure your financials are in order. Spend time researching new investor groups and quantify this activity by keeping track of research time, potential investors located, potential investors contacted, qty. of opens, qty. of no opens, qty. of rejections, qty. of acceptance, qty. of no response. Then you can start to measure the amount of investment secured per investor as you execute your full investor engagement strategy. This will start to give you insight into this effort and you will be able to see things like total research time per investment $$ and other metrics that can help you gauge the level of effort that will be required to meet your goals. You can start with just measuring how many investors you find and reach out to, then as responses are received, you can track responses as they come for later analysis. The more robust and planned your investor outreach and fundraising strategy, the more likely you are to handle any ups and downs in the process and ultimately achieve success. This may be a long road, longer than you expect. So, keep on top of these metrics and stay ahead of the curve. What metrics have you used in your fundraising? Any useful strategies you can share? We’d love to hear them in the comments below!